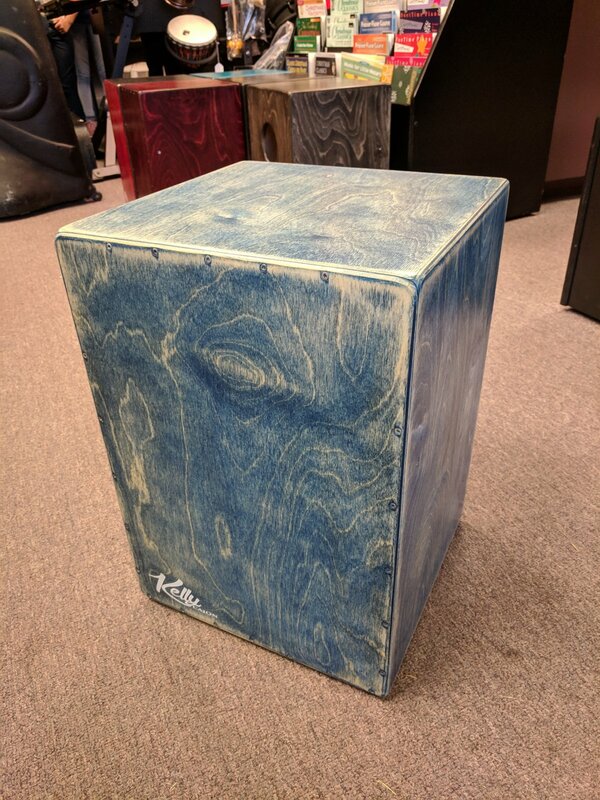 Kelly Cajons are hand-made in Vernon BC, Canada by master carpenter Kelly Klassen and his son Jamie. The size is slightly bigger than most cajons, measuring at 13" wide x 19.5" high and 13.5" deep. This helps bring out more bass than normal and makes them extremely dynamic. Kelly raises both top corners of the playing surface slightly, to allow the player to get a 'snap' sound. This added feature makes them an extremely versatile instrument. NOTE: If certain models have a reduced price, it's because they have minor cosmetic flaws.